A very enjoyable and educative experience and would recommend anyone to do it and ensure that Jason is leading the tour for full satisfaction. a very special trip with great guides!!!! Amazing experience. More tiring than expected. A bit too much focus on trekking. Less emphasis on tibetan culture and religion (kora). 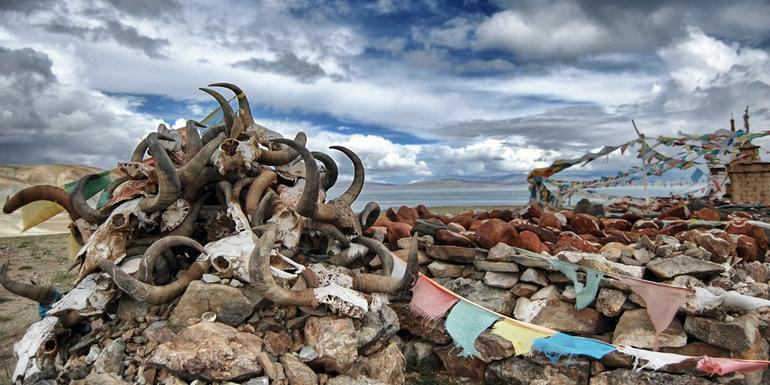 An extremely intense experience - not only of Tibet, but also of China as well. 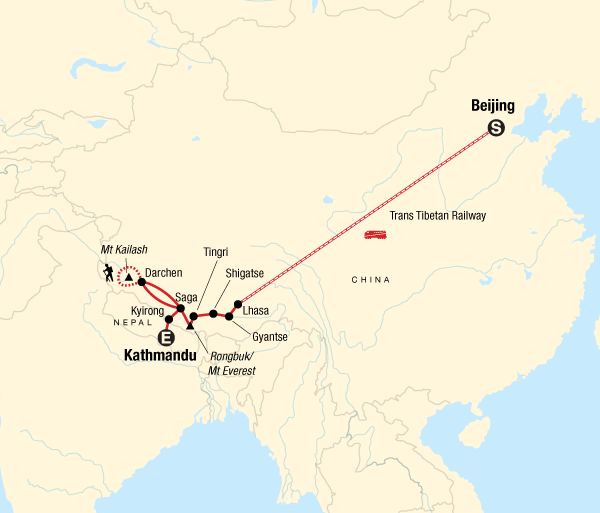 You do get a feel for the changes in both China and Tibet as well as seeing some of the best Buddhist monasteries on offer. Arrive in Lhasa in the evening. Take an orientation walk around Barkhor Square and start acclimatizing to the altitude. Only ground transport Train, plane, private bus, 4x4, walking. Accommodation in western Tibet is very, very basic. After Saga there are only basic guest houses with multi-bed rooms, shared pit toilets, essentially no running water and electricity only in the evenings. A sleep sheet is recommended as whilst there is plenty of bedding and (in most cases) it does get washed, it can be dusty. 1. ALTITUDE SICKNESS This trip operates at altitudes over 3500m (max altitude 5630m). Whilst we travel slowly allowing plenty of time to acclimatise you may experience headaches, nausea, lethargy on arrival in Lhasa and on the Kailash kora. It is important to be aware of the affects of altitude on one's tolerance especially on long driving days. 2. PARTICIPATION IN KAILASH KORA If anyone is unable to participate in the Kailash kora they may remain in Darchen with our drivers. 3.ACCOMMODATION Accommodation in western Tibet (particularly on the Kailash kora) and at Everest Base Camp) is extremely basic - only multishare rooms may be available and little or no running water. Basic pit toilets. 4. WEATHER The sun is intense - hat and sun screen are essential as well as drinking plenty of water as altitude exacerbates dehydration. Eating is a big part of traveling. Travelling with G Adventures you experience the vast array of wonderful food that is available out in the world. Generally meals are not included in the trip price when there is a choice of eating options, to give you the maximum flexibility in deciding where, what and with whom to eat. It also gives you more budgeting flexibility, though generally food is cheap. Our groups tend to eat together to enable you to taste a larger variety of dishes and enjoy each other's company. There is no obligation to do this though. Your CEO will be able to suggest favourite restaurants during your trip. Included breakfasts will usually be asian style consisting of noodles or congee (rice porridge) or bread and eggs. Vegetarians will be able to find a range of different foods, although in some areas the choice maybe limited. For all trips please refer to the meals included and budget information for included meals and meal budgets. Food in Western Tibet is limited in variety - we recommend bringing snacks, museli bars etc for snacks on the Kailash kora.